In celebration of LeTAO (Otaru, Hokkaido)’s 20th anniversary this year, we are excited to share with you our LeTAO X All Nippon Airways Contest! 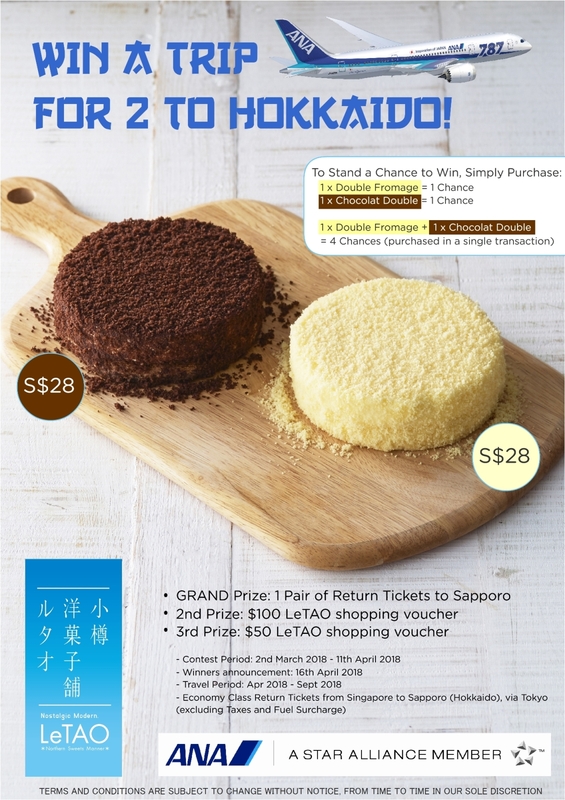 Grand Prize – A Pair of Return tickets from Singapore to Hokkaido, the birth place of LeTAO! Simply purchase any of our cheesecake to stand a chance to win. Hurry down to ION Orchard B1-K7 today! Terms & conditions apply.